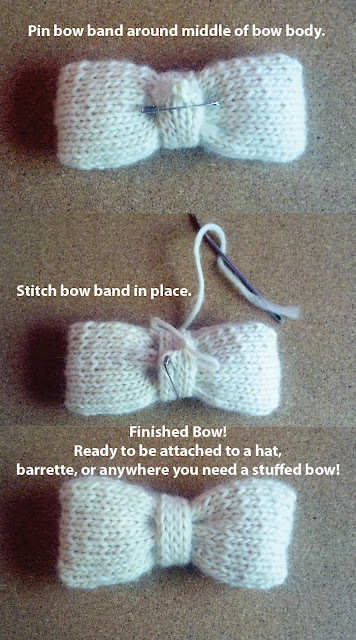 I am knitting a new hat and wanted an alternative to my usual pom pom or tassel so I whipped up a plush bow to tack onto the crown. 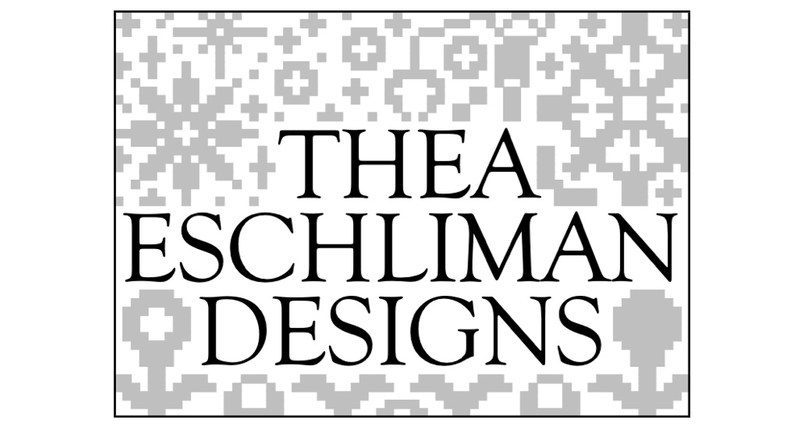 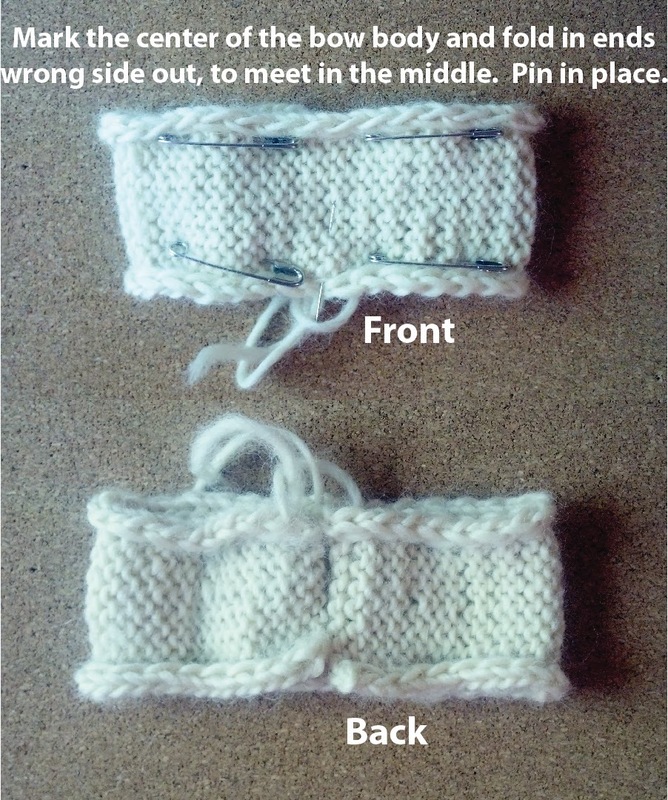 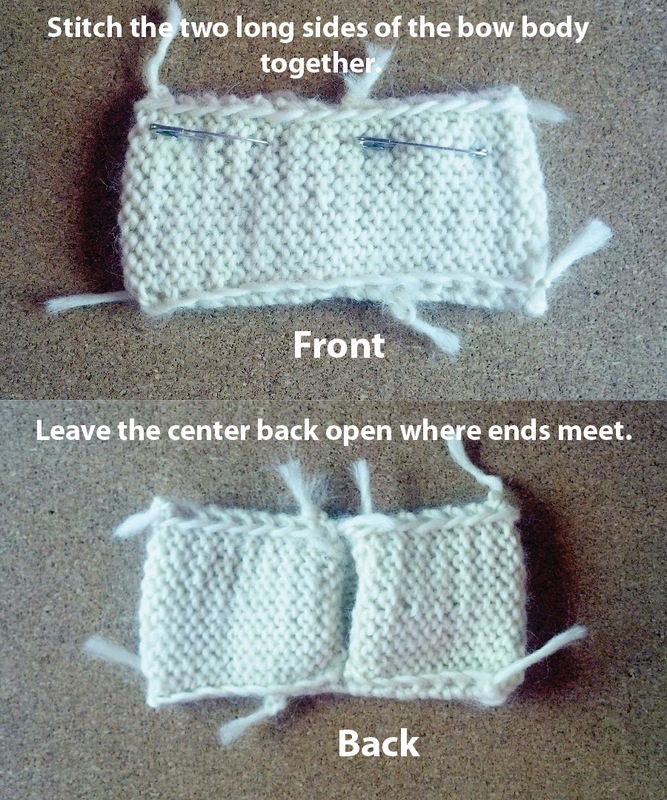 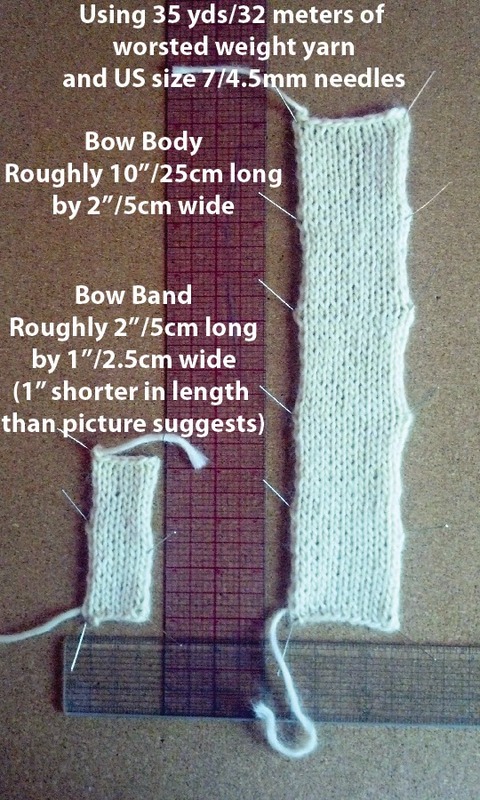 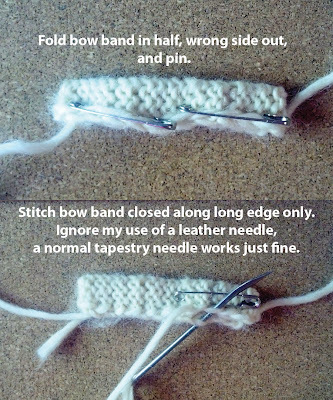 I thought I would stick a little tutorial up ahead of the new pattern. 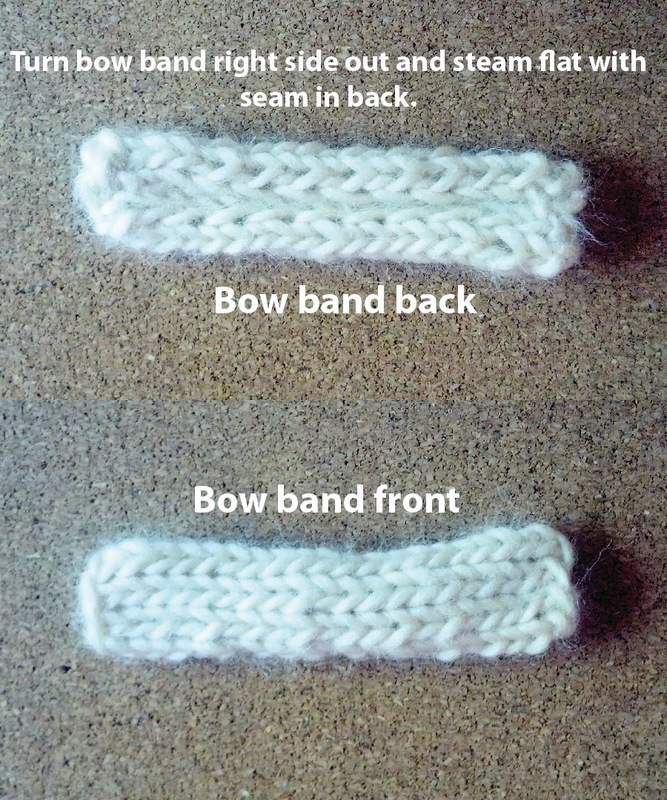 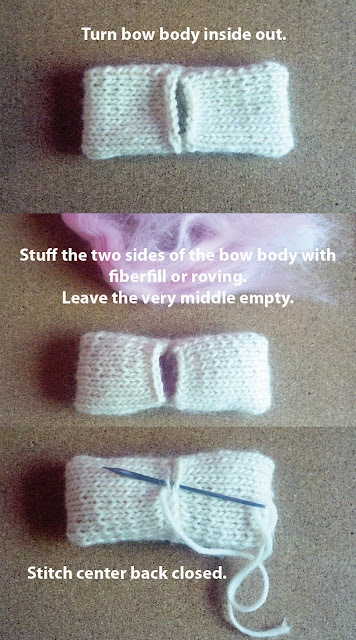 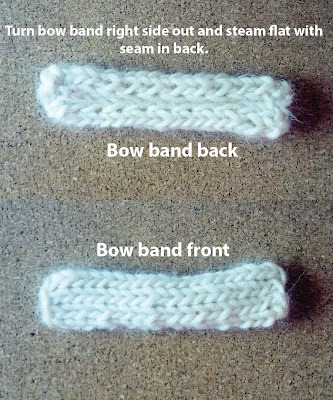 Following the directions exactly will give you a bow roughly 2 inches by 5 inches. 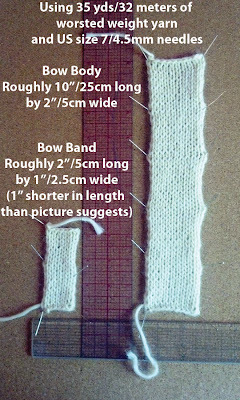 The general idea can be used to make bows of many sizes.